Don’t let the name fool you. 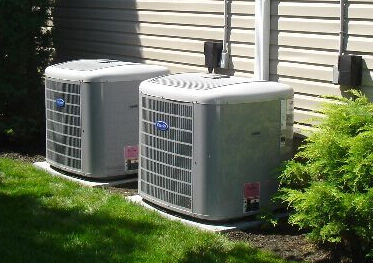 Heat pumps combine both heating and cooling into one, energy efficient package. There’s no burning of fossil fuels, eliminating dangerously hot surfaces, fumes, and byproducts, such as carbon monoxide. Great for the environment, your health and home, the system simply moves heat between the inside and outside, depending on the demands of the weather. The process is quiet, clean, and offers a very even year round comfort in Southwestern Pennsylvania. DiPaola Quality Climate Control offers a wide range of exceptional heat pumps, complete design/installation, protective maintenance programs, skilled repair, and 24/7 Emergency Service across New Eagle, South Park Township, Jefferson Hills, Venetia, Clairton, McMurray, Donora, Monongahela, Gastonville, West Newton, Bentleyville, PA and surrounding areas. We’ll make sure you take advantage of quality equipment, superior air filtration, effective dehumidification, and the innovative technology that maximizes efficiency and overall rewards. Specializing in industry-leading Carrier brand heat pumps, we not only answer any challenge but exceed expectations. Ask us about dual fuel systems, and partner your new heat pump with a gas furnace to significantly trim energy expenses.